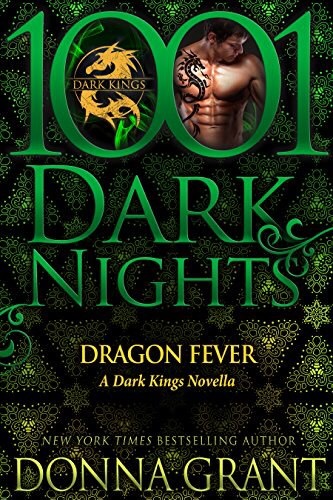 Even though this novella falls in the midst of the Dark Kings series, and I haven’t read even one, the author wrote just enough background and history on the characters that I was able to grasp the conflict and quickly immerse myself in the storyline. Rachel is an undercover journalist, and after a video of the Dragons of Draegon goes viral, she is determined to have the scoop of the century. What she didn’t count on was being dropped into the middle of an ancient feud. Asher and Rachel had immediate chemistry, and Rachel quickly becomes more interested in the man than she was in the story. This seemed a stretch, as she was a pretty famous investigative journalist, but until I meet my own dragon and see what all the excitement is about, I can’t pass judgement. Draegon, as it turns out, isn’t just the place where all the dragons live, it is also the name of the whiskey they sell and have made their fortune with. The descriptions for this whiskey was so yummy, that it made me want to drink a dram in front of the fire with my own hot man. Then I remembered that I don’t really like whiskey, and the temp is around ’95. I’ll just content myself with sitting around with my own hot guy, and crack open the first book in this series and see where it all started.